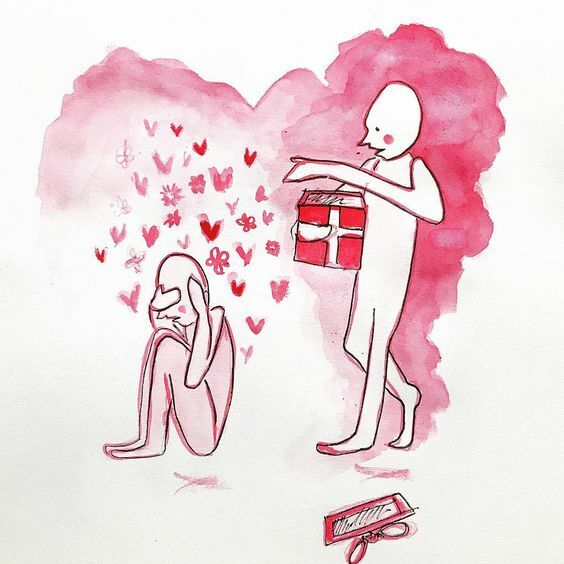 When you are finally gifted with love, but find yourself unable to receive because you never believed you truly deserved it. I am in this weird place of feeling so unworthy of the blessings & love that has entered my life. I over think. Like is this actually for me? Little ole me? Whats the catch? I'm waiting for someone to pop out and yell "You got punk'd!" Like wheres Ashton, seriously ? I'm not ready to receive, well I don't FEEL ready. Like I feel I have to wait until Im in my best place to then accelt what I've been praying for. Like a gift has been presented and I can't bring myself to claim it. It can't be mine. Too good to be true. This box of limitation Ive placed my heart into.